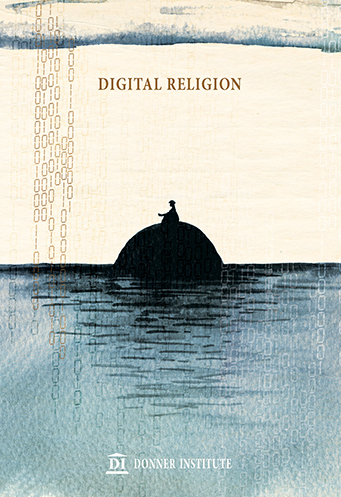 The current volume of Scripta focuses on the contemporary interface between religion and new internet technologies under the heading Digital Religion. The aim of the volume is to explore the complex relationship between religion and digital technologies of communication from various different perspectives. The theme is topical, novel and vast and the current compilation of articles thus offers an insight into a theme that is likely to attract growing interest in the coming years. The articles have been written by scholars from all over the world, representing the study of religion as well as social sciences and the humanities. Several of the themes represent new areas of investigation and build on thorough ethnographic research: religiously coloured discussions on the Internet, Facebook and religion, young persons’ relationships to religion online and new media to mention but a few. Digitalisation of ancient religious scriptures and digital forms of religious engagement – such as online hajj or digital divination – are also discussed among many other themes. Questions of power, change and authenticity arise in many of the articles, offering critical and illuminating assessments of the contemporary encounter between religions and the digital world. Does the 'old' media's coverage of religion matter in times of 'digital' religion? The video Three Things About Islam: Islamophobia online or a religious dialogue?